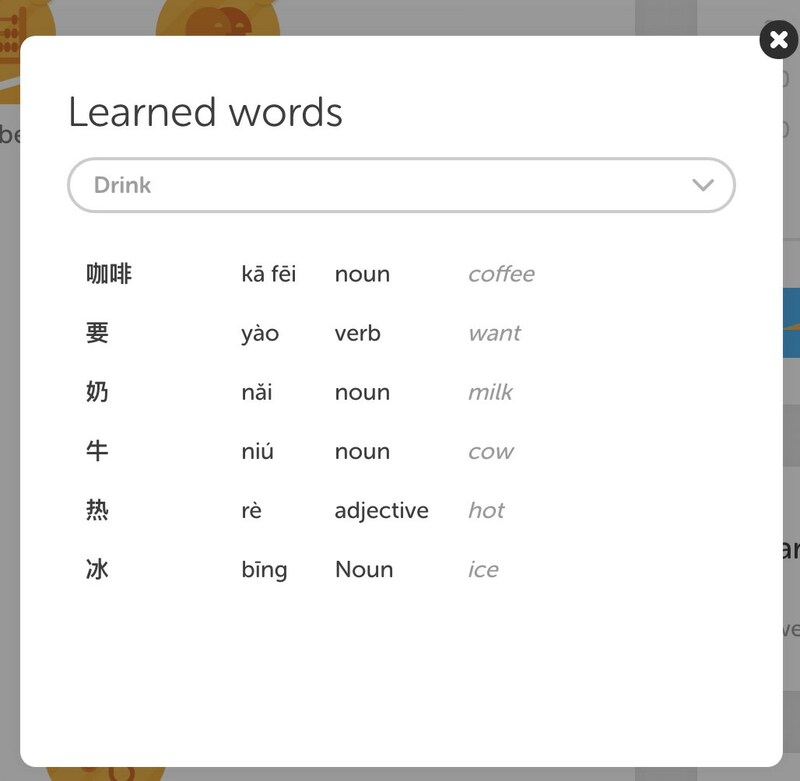 I just started the Mandarin course and at this point what I really need is a list of WORDs already learned but, unlike French, there is no WORDs list. PLease add this! In addition to MyaRexa’s suggestion, see also the Chrome plugin in this post. Your extension is what I recommend in my reply . Thanks by the way, it’s great. Is there a way to get this option for firefox?? Did this functionality of your extension get removed or break? For the life of me I can't find out how to get the word list to display with your extension enabled. I am so grateful that I thought to put together my own list from day one using Excel. I have been studying Mandarin for about 5 months now. I started on Hello Chinese, then paid for some YoYo lessons, have used a tutor and somehow stumbled on Duolingo. So I the words in my spreadsheet color coded as to where I have learned them so I can go back and find them more easily. I wish there was someway I could share this with you and even get others to add to my list. I agree. Please give the meaning of the characters as they are introduced, not just the sound. If they are paired with another character, then please present both together. I've been studying for three weeks now and recognise a lot of characters, but don't always know their meaning. How do you actually use the Words list? I find it little more than a curiosity providing a count of word forms encountered.